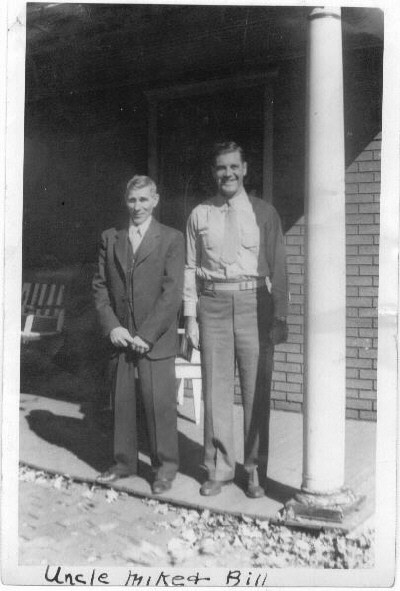 Comments: Bill Lacey (Nee: Lacey) | Carrolltown PA USA | 1941-1960 | Comments: This was taken on the front porch of the Lacey homestead. It was taken while Uncle Bill, was in the service during WW11. With him is his Father Michael Lacey.